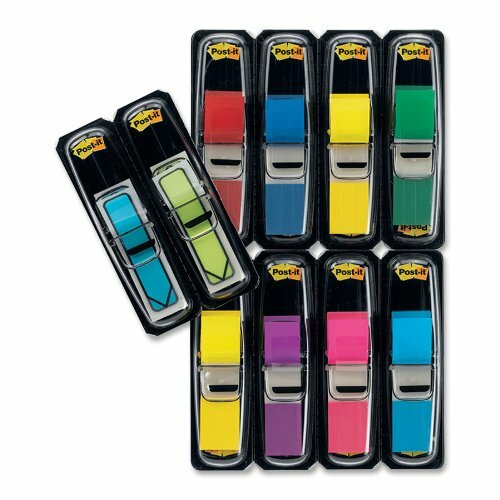 Post-it(R) Flags Value Pack in assorted Primary and Bright colors and 1/2 in wide size are great to color code papers. Flags stick securely for long-lasting use. The dispenser keeps flags organized and easy to find. This value pack contains 35/dispenser and 8 dispensers/pack plus FREE arrow flags.